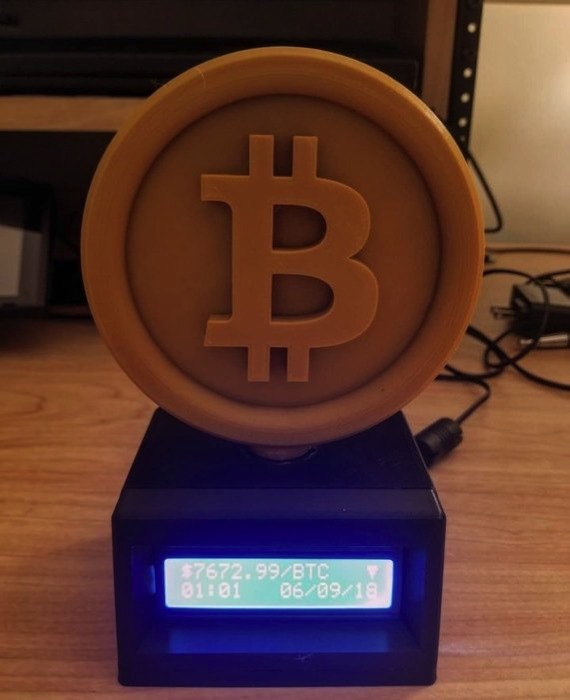 Cryptocurrency Ticker #3DPrinting #piday #raspberrypi @Raspberry_Pi « Adafruit Industries – Makers, hackers, artists, designers and engineers! I have decided to put together a tutorial for my crypto-ticker. DISCLAIMER: I am by no means a software or computer engineer (as will be evident when you view my code) so PLEASE make edits where you see fit! This project is written by a beginner, for beginners! All of my pictures show the finished product, not the build process, so I will try to make my language as descriptive as possible. This project uses a Raspberry Pi Zero W and a 16×2 LCD display to show live prices of cryptocurrency from Cryptocompare’s API and 24-hour date/time.